We already know that KeepVid is a popular online web application for downloading videos from YouTube and other video sites. It’s great because it does not only download videos as MP4, it also can record and convert videos to your desired format. 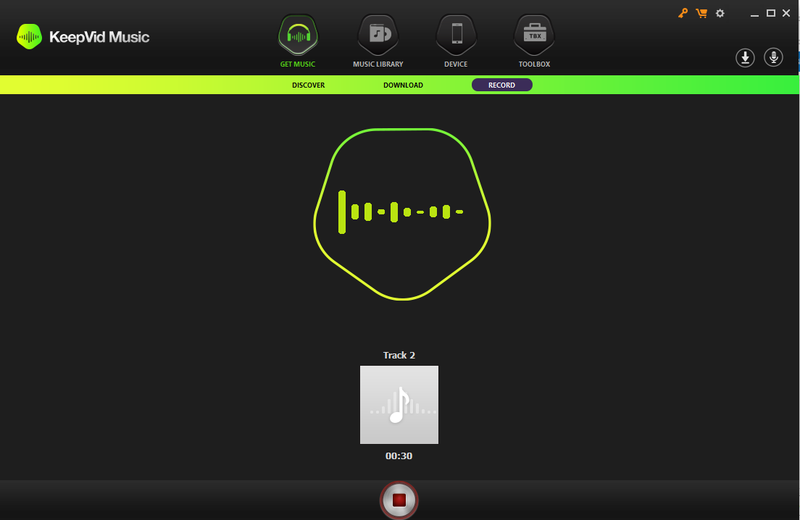 Now, what if you want to use a tool like it but more specifically for downloading and recording music from any site? Well, guess what? The said video downloading service also offers a solution to that and it’s called KeepVid Music . KeepVid Music is a great alternative for music lovers who do not want to get KeepVid Pro, the paid desktop version of KeepVid Online. While the latter is more focused on downloading and recording videos from any site, the former is more geared towards music. 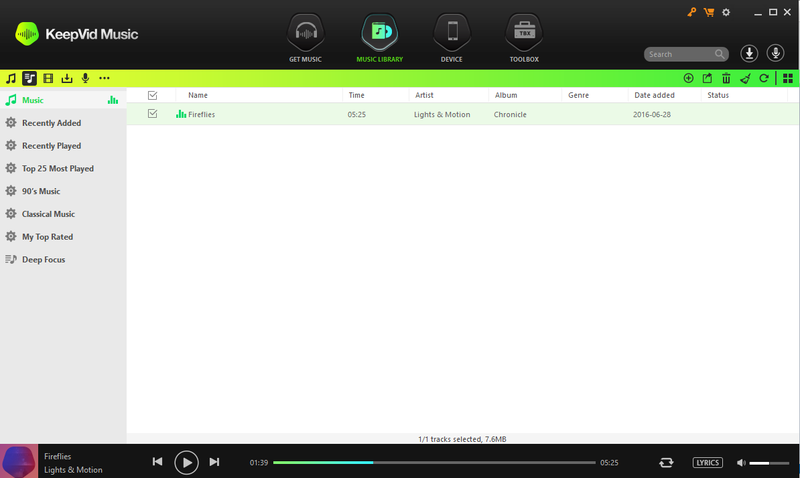 With it, you can basically download, record, manage, transfer, play and share music whenever you like. Like Pro, it is also paid desktop application that supports both Windows and Mac. Has a built-in browser so you can search, listen or preview a song before downloading it to your computer. It’s not only for downloading music directly from YouTube. 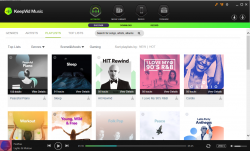 You can use it to download music from over 10,000 sites including Facebook, SoundCloud, Spotify, DailyMotion, Vimeo, etc. It features a “Discover” section where you can explore and search for different music genres, artists, playlists and even top lists right inside the app. Just select the song you want and then download it directly to your computer. You can also download all music from a playlist at once. You can record music from any music station or music software. Has a built-in music player with option to show or hide lyrics. It has its built-in music library where you can view, manage and play all the music that you downloaded. KeepVid Music automatically analyzes your library so that it could assign proper tags to your music, update cover art, remove duplicates and broken tracks, etc. You can create your own music playlists on top of the default playlists. The filter option in the music library makes it easier to search for specific music and audio files such as podcasts, audiobooks, recordings, etc. You can transfer music from KeepVid Music to any device and the said music tool will automatically convert the file to a format supported by the device. You can transfer music from PC to Android, Mac and iOS devices. Its Toolbox features more useful tools for managing music including Car Playlist and Burn CD. While this may not be truly considered as a con, it is important to note that the device transfer option does not support PC to device file transfers via Wi-Fi connection. You can only do the file transfer by connecting your device to PC via a USB cable. KeepVid Music is definitely something that music lovers will love. It serves many purposes but it’s primarily for discovering and downloading music from any site on the web like YouTube, SoundCloud, DailyMotion, etc. Moreover, there’s no need for you to quit or minimize it just so you could search or preview the music that you want to download. The said desktop tool has a built-in browser and music player. You can do all your music related tasks right within it like search, discover, download, record, convert and share. Even so, you can still do it the traditional “KeepVid way” which is to copy the full URL of the music or video from any source and simply paste it on KeepVid Music to download it to your computer. In terms of usability, the desktop tool flaunts a user-friendly UI. It doesn’t have a steep learning curve. It’s menu and options are designed to make it easier for users of all levels to use it according to their needs. That’s not all. 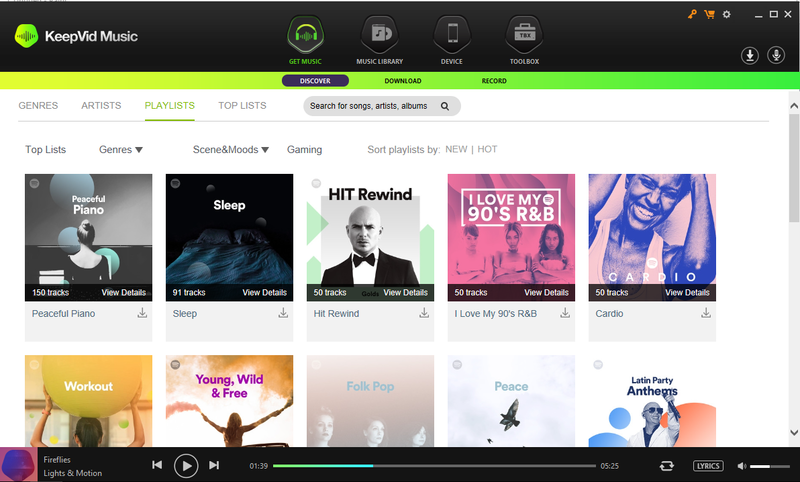 KeepVid Music’s music library also plays an integral part to its functionality as users can easily search, organize and even listen to their favorite music tracks. There’s also the transfer to device option which lets users automatically convert a music file to a format that’s best suited for the target device. With this desktop tool, you can easily transfer music from your computer to another device like an Android phone, an iPhone or even a Mac. To use it, you simply need to download and install it on your computer. Once installed, you can immediately start using it. It’s a very straightforward tool. Even its record option is very accessible and easy to use. By default, all music that will be downloaded via this tool will be converted and saved as MP3. You can change the default music format by going to Settings then select the “Download” tab. You can also choose your preferred download and record quality. Speaking of which, the output quality for both the downloaded and recorded music is at par with the original. The said tool preserves the sound quality so it is very unlikely for you to encounter annoying issues like too much noise in background, music and vocals not syncing properly, etc. You’ll also enjoy the fact that it downloads music at faster speeds plus you can download up to 10 MP3 and MP4 files simultaneously. 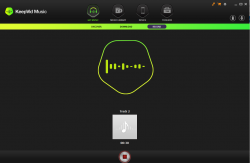 KeepVid Music has proven to be a very reliable and comprehensive music tool. You also don’t need to worry about ads randomly appearing on the tool as it doesn’t have any. While it may not have any notable downsides, it still has room for further developments like new and more interesting features. Is it worth checking out? Indeed, it is. It’s highly recommended especially for music lovers who frequently download music online.